These caches use existing webcams placed by individuals, businesses or Governmental agencies that monitor various areas such as public Parks or road conditions. These areas are almost always outdoors, although we have seen a handful of Webcam Caches over the years where the targeted area is indoors. You are required to get yourself in front of the view of the camera in these targeted areas (the cache’s posted coordinates) and have your picture saved to “find” the cache. When Webcam Caches were first published in 2001, the picture proof of your find was usually accomplished by calling a friend at home with a computer to wait until you were in the camera’s view, and have them save the picture (usually with a right mouse click, then save image on Windows-based PC’s). As the years went by, Wifi hotspots become more common, and you could do some Webcam Caches yourself with a laptop computer. (Mr.Yuck once owned such a cache, the camera being inside a private residence overlooking a bike trail, with that private residence having an open wifi network). Then finally Smartphones came into fashion with the introduction of the first iphone in the summer of 2007, and you can do most webcams yourself with any smartphone; on most, you simply hold your thumb down on the webcam image on the phone’s web browser, and you can save it to your picture gallery. Don’t worry though, if you don’t have a smartphone, you can still do them the old fashioned way with a friend at home. Fixed viewpoint: The Collingswood Webcam Cache, as mentioned in the introduction to this post is a good example of this type. This is a webcam for monitoring traffic at a busy intersection. Here is a link to the actual webcam page on the internet. Panning type: The Gateway Harbor Webcam Cache, by yours truly in North Tonawanda, N.Y., listed exclusively on Terracaching.com, is an example of this type. (Note people without an account may not be able to see that cache listing). Looking at the actual webcam page, you see it pans from left to right, covering an estimated distance of about 200 feet each way. I have the posted Webcam Cache coordinates at the center of travel, and also list the coordinates of the left and right limits on the cache page. Controllable type: There is a Geocaching.com user from Australia who created 10 controllable type webcam caches all over the world in 2001 and 2002, and we immediately thought of him for an example when planning this post. Wouldn’t you know, all 10 of them are now archived! Webcams break down all the time! And unfortunately, often are not repaired. 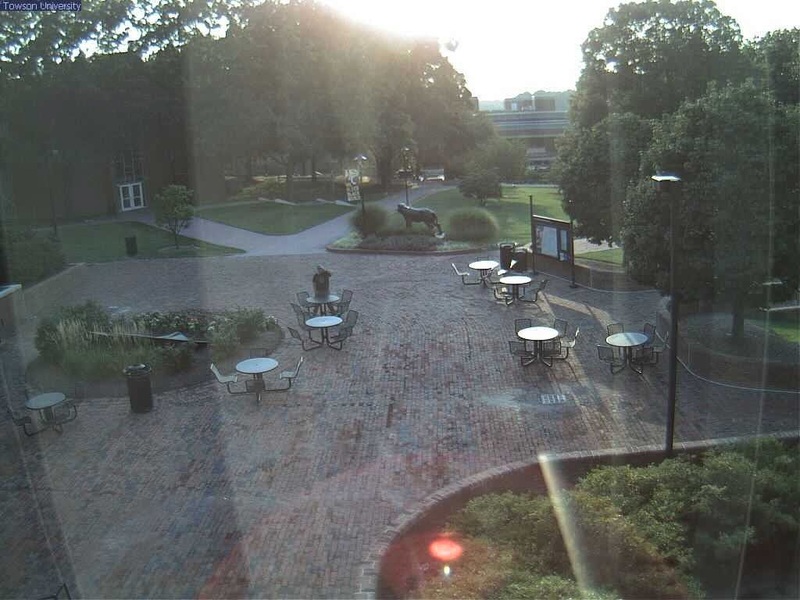 So we have an example that isn’t even a Webcam Cache (yet), at Buffalo State College, in Buffalo, New York. Go ahead and try it, it’s fun! There is a time limit for controlling any such camera on the web, and you have 5 minutes for this one, which is actually one of the longer limits out there. 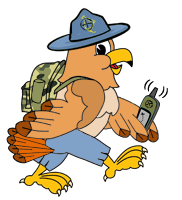 There are two excellent Webcam Cache bookmark lists created by users of Geocaching.com; Webcams Worldwide by TerraViators, and Webcams, USA by Inidgo Parrish. We emailed TerraViators before this blog post, and he’s confident his list has every active Webcam Cache listed on Geocaching.com in the world. Scrolling down to the bottom, you’ll see there are only 350 caches on that list! For us Americans, you can see at the top of the Webcams, USA list that there were a mere 169 active webcam caches on Geocaching.com in the USA as of January 1st, 2014, as well as how their numbers have fallen since 2009. Why are their numbers falling? For one thing, there’s a couple of little known policies over there regarding so-called Grandfathered caches. They can not be adopted out to anyone under any circumstances, even with the cache owners consent; and you can not update the coordinates of a Grandfathered cache. If the webcam coordinates change, the Webcam Cache is archived. The biggest factor though, is that webcams on the internet have been shown to have a rather short life span; they break all the time, and are often not repaired or replaced by the individuals, businesses or Governmental agencies that put them up on the internet in the first place. The History of Webcam caches? Geocaching.com appears to have added the cache type in October, 2001. The oldest existing Webcam Cache is in the Outer Banks of North Carolina, Sun n’ Surf “Cache-cam” placed on October 30th, 2001. It is inconclusive whether or not it was the first Webcam Cache ever though, we cannot query the Geocaching.com database. You can, sort of, by using the website project-gc.com, but it maxes out at 500 results. The most recent active Webcam Cache is in Germany, Gustav Eberlein beobachtet Euch placed on November 1, 2005. So Geocaching.com accepted Webcam Caches for just very slightly over 4 years, and as previously mentioned, 95% of their accounts joined after 11/1/2005. How many Webcam Caches were ever created on Geocaching.com? That is unknown to the general Geocaching public, but it’s pretty safe to say less than 1,000. But you don’t have to be one of those 5% (like the Blogger) who created less than 1,000 Webcam Caches! Like we said in the intro, Ourselves (and the rest of the world wide OpenCaching Network), Navicache.com, Terracaching.com, and GPSgames.org all accept them. We (and our network) are the only of those websites where they are their own cache type. If you’re willing to put up with the downtime issues that inevitably arise with Webcam Caches, we will gleefully publish it. This historic cache type is still alive and well and thriving at the alt sites. While geocaching.com doesn’t take new webcam caches, it doesn’t mean you can’t submit one that use a webcam. You just have to get more creative. I have one “in the works” (meaning, it’s mostly in my head) that requires you to go to a webcam with some identifiable object. You then go to my site which pulls the image, does some image manipulation to see if you have that object (probably something easy to process like a big red something or other), and if it passes, the site will show you the coordinates of a physical cache. Yeah, it’s not the same, but a way to incorporate a grandfathered cache type into a high tech puzzle. Sounds interesting. Hope you are able to implement it.